The IWGP Heavyweight Championship is the most prestige title in all of wrestling. Since Hiroshi Tanahashi defeated Satoshi Kojima back at Wrestle Kingdom V on Jan 4th, 2011, only five men have held the championship; Tanahashi, Kazuchika Okada, AJ Styles, Tetsuya Naito and current champion - Kenny Omega. Five of the best today, and men who will undoubtedly be among the greatest of all time. To just get a shot at the IWGP Heavyweight Championship is an achievement. Tomohiro Ishii, who has been with New Japan regularly since 2006, has only received two IWGP Heavyweight Title shots in his entire career. The title is defended roughly 7-8 times a year; each defence is a major occasion. New Japan is on the cusp of a new era, with young wrestlers emerging and others looking to assert their place at the top. Here are five wrestlers who have never received an IWGP Heavyweight title but may do so soon. A 24-year old Okada shocked fans in 2012 when he defeated Hiroshi Tanahashi to win his first IWGP Heavyweight title at The New Beginning 2012. 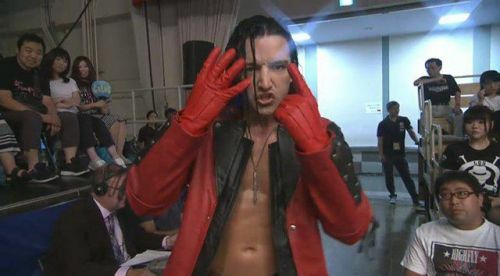 Similarly, Jay White surprised fans when he beat Kenny Omega to win the IWGP United States Championship at The New Beginning 2018. After returning from his excursion, Okada aligned himself with Chaos in 2012. When White joined Chaos earlier this year, Okada had become the boss of the group. Both impressed in their debut G1 Climax tournaments. White finished third in Block B this year. Okada did one better in his first G1; he won the whole thing. Most crucially, ‘Switchblade’ now has Gedo by his side - as Okada did. The wrestling world was stunned when Gedo betrayed Okada to side with White. Clearly, Gedo sees the same potential in White that he saw in The Rainmaker. At King of Pro Wrestling earlier this week, White cut ties with Chaos completely when he, Gedo and Jado switched to the Bullet Club OG. ‘Switchblade’ looks set for a showdown with his former boss. 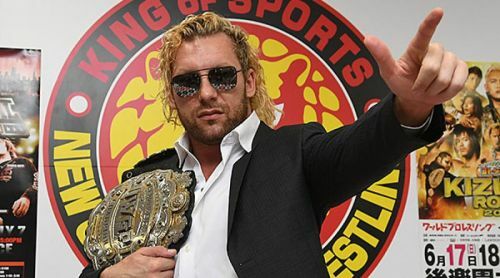 It’s inevitable that White will get an IWGP Heavyweight Title shot in 2019 and perhaps like ‘The Rainmaker’ previously, White will seize his opportunity and take the throne.